Purchase the Sig Sauer OHT Special Edition MK25 and you support the recovery of wounded service members and veterans — a purchase with a purpose. We are honored to announce our partnership with Sig Sauer and Operation Hat Trick, and for GunBroker.com to be the exclusive outlet for the OHT Special Edition MK25. The Sig Sauer MK25 is the service weapon of the U.S. Navy SEALs, and it has since been released that Nate Hardy and Mike Koch were both carrying MK25 pistols on their last mission. 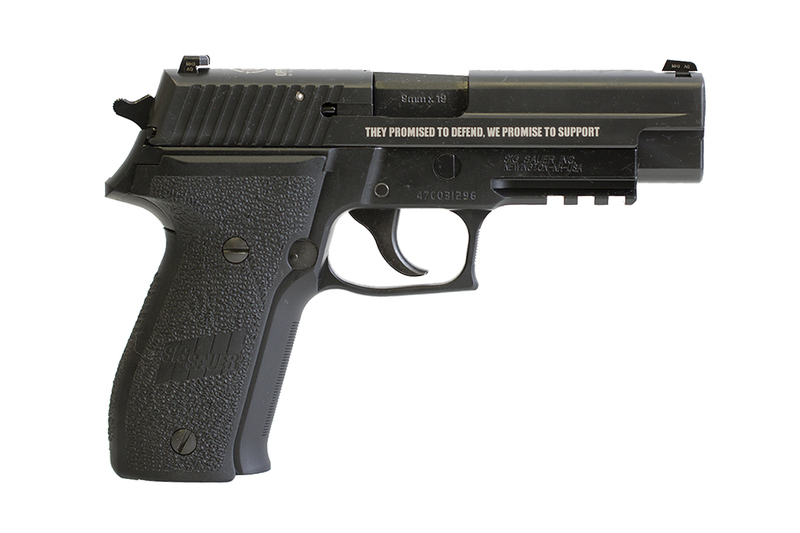 This special edition pistol features the Operation Hat Trick logo on the top of the slide, the OHT tagline on the right side of the slide: “They promised to defend, we promise to support,” and, as on all MK25s, an anchor on the left side of the slide. Each Operation Hat Trick Special Edition MK25 will also include a matching, engraved challenge coin and folding knife.